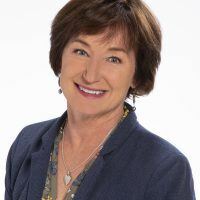 Reno-Tahoe Chapter of the American Marketing Association – The premiere Reno marketing organization, serving as the resource for area marketers to learn, grow, and connect through opportunities that promote education and marketing excellence. Build Your Career. Advance Our Community. Thank you to all the speakers, sponsors and attendees who came to the Seventh Annual Reno AMA Marketing Workshop. It was a successful event and we learned from some of the brightest minds in the industry! …your customer, the digital hunter on today’s web.